*To see our current programs click here. Halloween is less than two weeks away! You might not have your costume figured out yet, and maybe you’ve already eaten through half the Halloween candy you had on hand for trick-or-treaters, but we’ve got good news; Connected Camps’ seasonal camps are right around the corner! 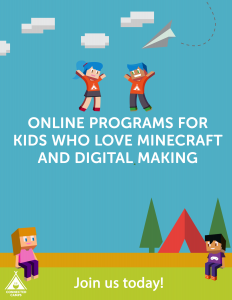 While you might know that we offer programming in Minecraft and coding platforms like Scratch in our Online Labs 7 days a week and host 8 action-packed weeks of Summer Camps, you might not realize that we also have a holiday camps sprinkled throughout the year. This year, get prepared to kick off seasonal camps with our Halloween Camp, an exciting story-based survival camp, where campers work together to lift a mysterious curse. There are new clues and discoveries to be made each day, along with a series of mini quests, including a Frankenstein build, and a gloriously ghoulish Halloween masquerade party! 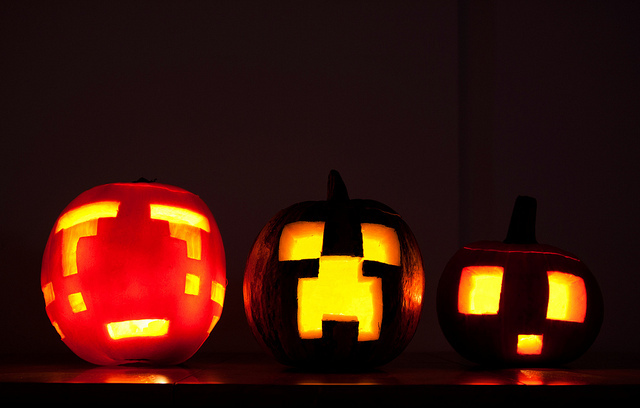 Halloween Camp takes place Oct. 29th – Nov. 2nd, 3:15pm – 4:45pm PT. Also upcoming are Thanksgiving Camp, a survival camp where the campers have just landed ashore a mysterious land as nomads, travelers, and explorers, and must work together to forge a community in a newfound wilderness, and two Winter Break Camps, one a creative theater camp, and the other a Winter adventure camp. See the full schedule of special events for details. Seasonal camps are only open to Connected Camps members, so join today to take advantage of all the year-round fun. Luke, our Program Manager, said, “The holidays, when we get a brief break from school, is a great time to explore the seasonal themes in a unique camp experience that you won’t find in our regular labs.” And if you ask us, working together to lift a creepy course in Halloween Camp sounds way more fun than bobbing for apples and eating candy corn! Previous Post:How Cooperative Games Turn Kids into Superheroes!